With new flashlights, lanterns and headlamps, the LIGHTING range is expanded to meet the varying needs of outdoor active and lifestyle choices. 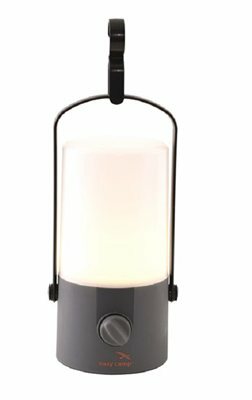 With a growing demand for practical lighting solutions, innovative new lights include two compact, powerful flashlights, a headlamp with COB LED chips packaged together as one powerful lighting module, two neat lanterns plus a retro-style Hurricane LED lantern. I bought this for my children’s pod in the tent. Haven’t used it yet but it seams like a nice quality lantern with a nice soft light when not at full brightness.